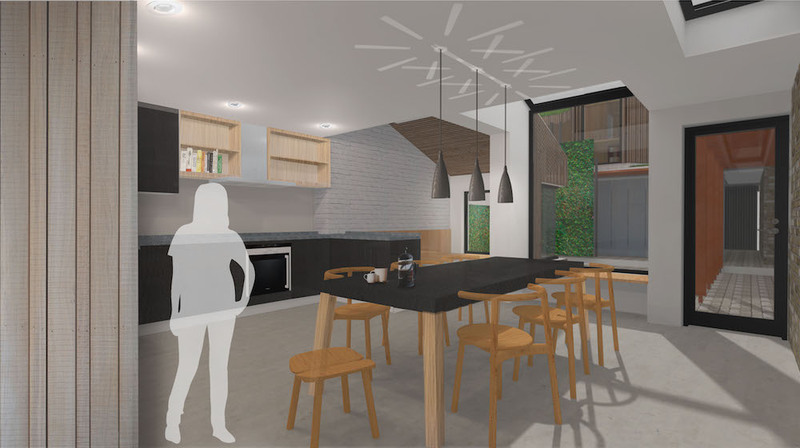 A typical two up, two down, Victorian Terrace in Cambridge is to be given a new lease of life by a forward thinking family, following planning approval. The family wanted to add a further small bathroom on the ground floor to double as a cloakroom for visitors and at the rear create better living spaces that would support their busy lifestyle. The majority of the works are to be undertaken by the owners, using local craftsmen to implement the main alterations. In addition, the solution needed to re-instate some of the lost traditional detailing of the existing property, paying respect to its original character and age, while addressing an open and overlooked aspect at the rear. Our solution makes better use of an existing rear access to create a full width garage, to house bikes, refuse storage and space for the family’s future electric car. 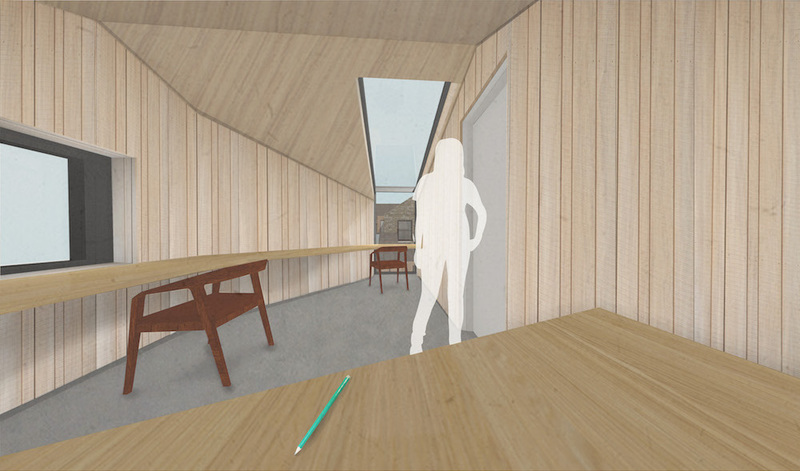 Above, a new workroom will enable the family to have a dedicated place for home working to support their local business, while also masking external views in to a revived courtyard garden from surrounding buildings. 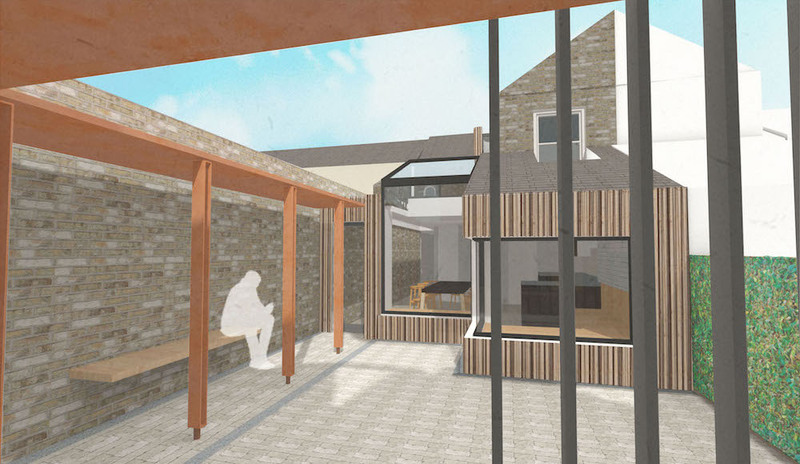 At ground floor, attached to the existing terrace, a new extension creates a day-lit enlarged kitchen and dining space with the addition of a seating area that will also open out on to the courtyard, creating a private external focus. A covered walkway, will link the house with the garage and workroom, engaging an existing south facing wall along the northern boundary. The garage is visually separated from the courtyard by a semi-translucent screen and a ‘Living Wall’ that shrouds a stair providing access to the workroom. An existing small winding stair has been utilised to form a private passage from the first floor children's bedrooms at the rear, to the new ground floor shower room. Space for the new heating system and a cupboard to serve to the entrance hall at the front of the house, have also been incorporated. New roofs will feature sedum planting to help manage surface water and create a visually rich outlook from first floor rooms. 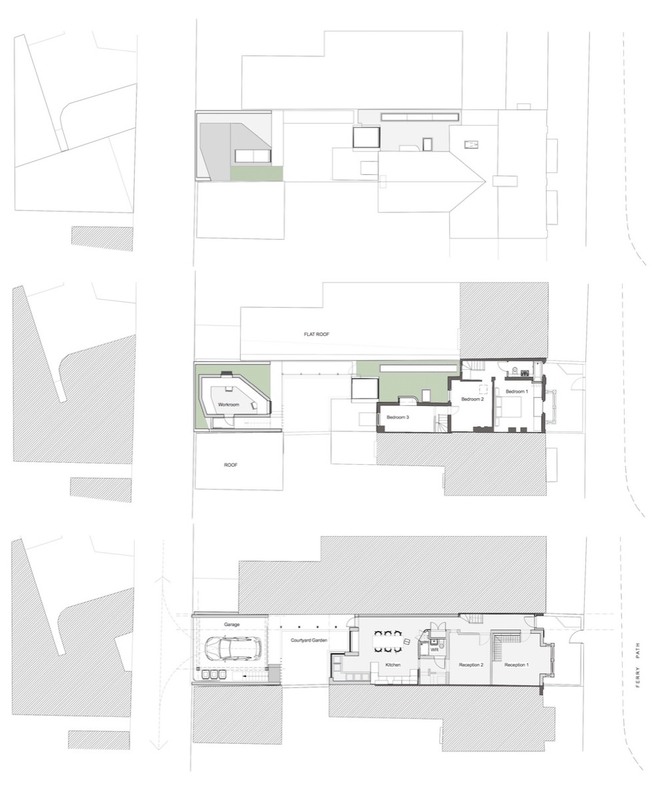 Irrigation for the roofs and the ‘living wall’ will be supported by a surface water storage vessel placed below the courtyard to complete the remodelled terrace design suited to this families modern city lifestyle.